iBGStar - Designed to read high? After posting my little write-up about the iBGStar last week I was interested to receive some follow-up from the boffins at Sanofi over the weekend. You may recall that when I sent some feedback from my sneak peek/trial of the iBGStar I was called by a lovely representative of Sanofi who asked me to send back the first meter which seemed to be giving peculiarly high readings so that they could take a look at it. Sadly the replacement meter that they sent gave very similar results. "The returned device and test strips were both tested and were found to meet all the required specifications and function normally. However the manufacturing site has advised us that due to the new technology used in the iBGStar monitor, there can be results variations if directly compared to a different type of monitor." "The iBGStar has been developed to give readings which are automatically corrected against Haematocrit* and plasma values. Both of these corrections can mean that your new iBGStar monitor may give readings higher than you are used to. If you have any concerns over what this change of readings may mean, we would advise you to consult your doctor or other healthcare practitioner for further training." It would seem that whatever correction factor(s) Sanofi have used for the iBGStar it is likely to read higher than other monitor(s) you might be using at the moment. Which begs the question - why did they use those correction factors? Plus or minus 20% of a reading is a pretty flippy-floppy requirement, but I don't see any reason to make maximum use of this variability all the time, unless all the other meters are getting it wrong. If you are considering switching to the iBGStar it would probably worth keeping back half a pot of strips from your old monitor and cross-checking between the two over a few days. That way you will have some sort of idea what differences in readings (if any) might be involved for you, and be able to adjust (or talk to your clinic about adjusting) your correction factors accordingly. *Haematocrit refers to how densely packed the red blood cells are in a sample - blood samples usually consist of 40-45% red blood cells. This varies from person to person (or, for example, with dehydration) and can raise or lower the apparent BG reading. I was invited to write a blog post or two for the Quality in Care (QiC) awards 2012. QiC highlights and recognises outstanding practice and initiatives of healthcare professionals, NHS trusts and other organisations in the care of long-term conditions including diabetes that meet the values of QIPP (Quality, Innovation, Productivity and Prevention). The last post shares the outstanding experience I've had moving to an insulin pump. On a slightly brighter note I thought I would share my absolutely excellent experience of moving from MDI (multiple daily injections) to Insulin Pump therapy. The clinic I attend is quite pro-pump and the idea was first mentioned to me some years ago as a possible solution to my concerns over hypoglycaemia. I have never had a problem with severe episodes, but the low-level dips have always been a little too frequent and in more recent years I had become slightly concerned that my warning signs might be weakening. When an insulin pump was first suggested, many years ago, I was intrigued as to how (if a person was still going to be making similar errors in carb counting, for example) the transformation in control came about. Unfortunately, the consultant who was advocating a pump could not clearly articulate ‘how’ it improved things – just that it did. Sadly, this was not really enough for me. Like almost everyone considering a pump I had an instinctive and fairly profound unease about being attached to something 24 hours a day, 365 days a year and I remained firmly ‘pump averse’ for several years. 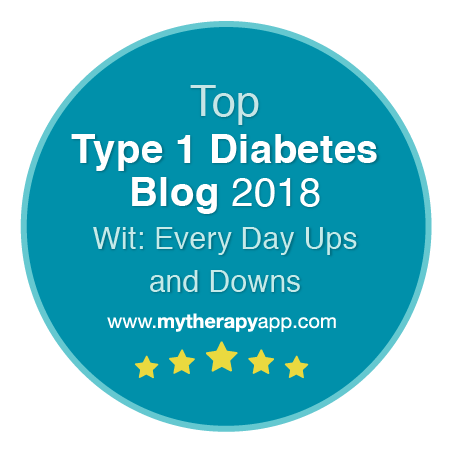 It was only after perhaps two years of renewed effort in gaining real control over my diabetes, while at the same time coming into contact with a number of pump users online that I began to understand how and why pump therapy worked. At the same time though, I became aware of the ‘postcode lottery’ that seems to be part and parcel of getting pump therapy funding in the UK. I wondered if I had perhaps missed my chance, or if it would take the three or four years of struggle that others experience. Having pushed my MDI to the limits, learning an awful lot about how my diabetes works, improving my HbA1c and losing a lot of low-level hypos into the bargain I realised that however good it got it still wasn’t going to be good enough. I decided to investigate the option of a pump at my annual review in September. I had a good two-way conversation with a Registrar who agreed that many of the challenges I continued to face would be better tackled with an insulin pump. She booked me an appointment with the Pump Specialist Diabetes Nurse the following week. Although I hadn’t officially done a course on carb counting and dose adjustment it was agreed that I knew enough for this not to present a problem. The DSN put my case to the pump clinic Consultant, who agreed funding with the PCT and I started on an insulin pump a few weeks later. I cannot imagine a better experience. I was treated as an individual throughout and my particular needs and circumstances were taken into account at every stage. Not only that, but the transition was handled excellently – with lots of care and attention, frequent phone calls and follow-up during those tricky early days. When things go well it is hard to imagine a better healthcare system than the NHS. I was invited to write a blog post or two for the Quality in Care (QiC) awards 2012. QiC highlights and recognises outstanding practice and initiatives of healthcare professionals, NHS trusts and other organisations in the care of long-term conditions including diabetes that meet the values of QIPP (Quality, Innovation, Productivity and Prevention). This second post does a bit of moaning about decentralised care. Familiarity breeds contempt they say, and I suppose that is true of those with chronic conditions. We have attended so many appointments, check-ups and dealt with so many prescription requests over the years that we can become quickly frustrated by any perceived administrative inefficiency. We are already devoting quite a considerable amount of time and effort to this ‘playing at being a pancreas’ project and have little enthusiasm for repeat appointments and any apparent lack of communication between different parts of our care team. For example, I needed to make some changes to my repeat prescription recently as suggested by the DSN at the hospital. It took at least four attempts to get it right at my surgery. This is about average. I’m not sure how I could have made the requests any clearer. In the end it took two handwritten notes, one typewritten, one from the DSN herself and three visits to the GP’s reception. At no point was I called or emailed with a query or to request any clarification, I just had to keep going back and asking for the same thing over and over until the repeat prescription form eventually came out right. And this is a surgery that I know handles their aspects of my care brilliantly. Compared to other people’s experiences that I read on various forums, I know I am very lucky. There seems to be another push for the decentralisation of care at the moment. I can remember when what I used to refer to as my 30,000-Jab Service (annual diabetic review) took place with two visits. I would get some bloods taken a week or two before my appointment, then go along to clinic and spend the inevitable hour waiting to be seen before being variously poked and prodded until everyone was satisfied that I was OK to be released for another 12 months. All in all, including the blood tests, it probably took about two or three hours. Change 1: The arrival of eye screening units. The traditional scary-pupil-enlargement-and-bright-light-combo was taken out of the review and began to involve snazzy photography by a mobile unit at the GP surgery rather than being peered at by someone clutching an ophthalmoscope and holding their breath. Not a bad change – but it did involve an extra appointment and thus a bit more waiting room drudgery. Change 2: The next thing that happened was that a practice nurse and GP at my surgery went on a short course, and they began to run a diabetes clinic. Since I’m on their books I was not-very-gently encouraged to attend (I always assumed there was a financial incentive). Up to that point my care had always been at the hospital, and for a year or two I endured double appointment ‘fun’. Twice the appointments, twice the blood tests, twice the reviews, more hours spent in waiting rooms, more time away from work – no actual benefit. Since the surgery was not taking no for an answer I ended up signing myself off at the hospital and kept going to my GPs for a few years. This was all well and good for some things, but after drifting for a while with a not-disastrous-but-not-great HbA1c I had a peculiar hypo one night that shook me up a bit and ended up with a precautionary, though looking back largely unnecessary, trip to A&E. Some of the long-standing frustrations and/or peculiarities in the micro-management of T1 became more pressing. But when I went for an appointment first with the practice nurse, then with the practice GP ‘with interest’ both looked a little rabbit-in-the-headlights when I started asking pointy questions about changing insulins. I think the GP said ‘It’s a bit out of my league really’. So I was referred back to the hospital again. Approximately 18 months later I am going through that same loop again – ‘review overdue’ is appearing on my repeat prescription request form. I’m booked in to the GP clinic again. Even though I had an ‘annual’ review six months ago. Now that doesn’t sound too troublesome as a story – but coming from a point of feeling ‘well cared for’ for about 10 or 15 years with one or two appointments a year the number of appointments has risen exponentially. And often the appointments can be 2 minute affairs just to say that someone doesn’t know and I’d have to go and see someone else. I am extremely lucky in that my working hours are quite flexible, but in previous jobs this would have been extremely difficult to manage. I can understand the logic in trying to free up time in hospitals by getting some of the checks and tests (weight, blood pressure, eye squinting, toe tickling and so on) done in a local GP surgery, but the problem seems to be that the various parts of the now widespread team are not sharing their bits of information effectively. Additionally if you break down one appointment into four or five different slices it becomes a lot more troublesome and time consuming for the patient. From the surgery point of view I can see the QoF* incentive to get good results from all the people with diabetes on your books – after all we are expensive to keep – but surely a result is a result? A test and/or notes taken at hospital clinic should not need to be repeated a month or two later at the surgery unless there is a compelling clinical reason for doing so. *The Quality and Outcomes Framework allocates 'points' for GP surgeries where patients with long-term conditions are meeting certain criteria and/or have all the relevant records up to date. The points then equate to additional budget for the surgery. I was invited to write a blog post or two for the Quality in Care (QiC) awards 2012. QiC highlights and recognises outstanding practice and initiatives of healthcare professionals, NHS trusts and other organisations in the care of long-term conditions including diabetes that meet the values of QIPP (Quality, Innovation, Productivity and Prevention). This first post considers some issues that can arise for HCPs when dealing with people who live with a condition day-in day-out. 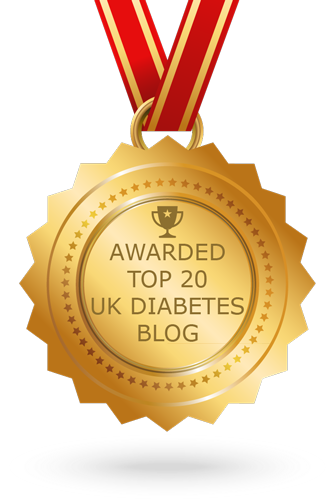 I should perhaps begin by saying that during the 20 odd years that I have had Type 1 diabetes I have had what I consider to be excellent care from pretty much every DSN, registrar, consultant, dietician, phlebotomist and GP I have come across. I am also aware, from reading accounts from people with diabetes elsewhere in the world, that the UK is a pretty darned good place to live if you happen to have a wonky pancreas. Now anyone who has spent any time treating people with diabetes will surely know them to be the most even-tempered, uncomplaining and obedient of patients(!) and I’ve been invited to reflect on my experiences from ‘the other side of the desk’. Diabetes is a complex and contradictory condition to be diagnosed with. Long after the initial shock has worn off, patients are regularly assailed by conflicting emotional responses: Having diabetes doesn’t have to stop me from doing anything I want to... Diabetes stops me doing anything I want to... I can eat anything I want as long as I dose for it correctly... There is absolutely nothing that I can eat without causing complete chaos in my levels... I can do this! I just can’t do this any more! With diabetes it’s possible to experience any of these feelings in quick succession – or quite possibly several all at the same time. What is worse for healthcare professionals, of course, is that diabetes is insanely personal. In the Diabetic Online Community (all those diabetes blogs and forums that you probably don’t read) there is a well-worn phrase that stubbornly refuses to die out from over-use – Your Diabetes May Vary. One-size-fits-all this isn’t. Advice you might give to one patient that would work perfectly, might be a complete disaster to the next. 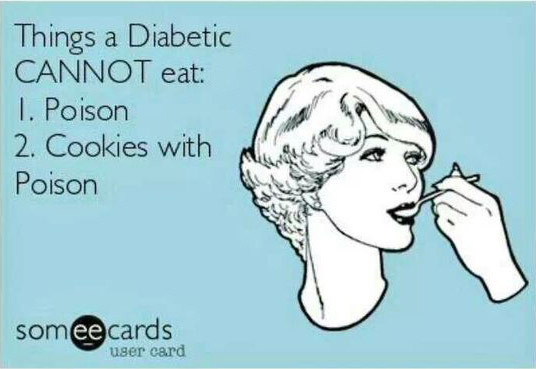 Not only that but we diabetics, especially those of us with Type 1 tend to hang around for quite a while these days. If diabetes was my job, I’d be edging toward a carriage clock and time off for good behaviour by now. This poses two main problems for HCPs I think. First is the assumption that we’ve been told things before. Second is the assumption that we don’t have a clue what we are doing. The first assumption could leave a patient floundering for years without a basic understanding various diabetes management approaches, dose adjustment or carb counting for example, simply because they were not in vogue when they were diagnosed. These patients then don’t get updated later as it is assumed by fresh faced perky young medics that they must know all this already. The second assumption could see a steel shutter slam down during a conversation if a suggestion is made that ‘If you are high you need to take a bit more insulin’ to a person who has been carefully tweaking their own doses for years. In order to control my diabetes to my satisfaction I have to think about it more or less continually. It’s the first thing I think about when I wake up, and the last thing I attend to before sleep. There’s not a morsel of food that I’ve eaten in over 20 years that was not first considered in relation to its likely effect on my blood glucose levels. Any appreciable change in level of activity even just popping round the shops needs a bit of thought and a little forward planning. Even changes in the weather have to be watched. When I’m managing my diabetes well, it’s pretty much a full time occupation – the team I see get to think about it for about twenty minutes once or twice a year. 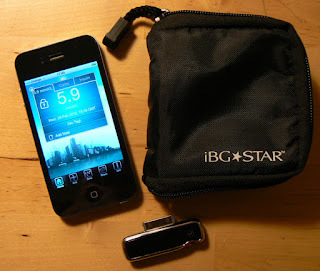 I was delighted to be invited in January 2012 to be one of the first people in the UK to use and review the iBGStar - a blood glucose meter by Sanofi Aventis designed to work with an iPhone or iPod Touch. The agency that sent me the meter and asked me to provide feedback prior to the UK launch and swore me to secrecy until today, when it becomes available for purchase in Boots. I was provided with an iBGStar and a supply of strips free of charge, and I've not been paid to write this review or say anything, good, bad or otherwise - what follows is just my opinion after a few weeks' use. To save my fingers I'll lazily just be saying iPhone from now on. If you've got an iPod Touch you'll need to do a little mental inline editing. I should start by saying that I reeeeeally wanted to like this meter right from the outset. The designer in me has long had a love for that fine fruit-based technology company. I've been logging all my BG results on Apple products for years and the idea of a meter which plugs straight into an iPhone or iPod Touch has immediate appeal. The first thing you notice is that it is absolutely tiny! There's also a pleasing 'Apple' influence to the general design. The shiny curved edges on the front, the smooth nicely shaped matt-finished reverse side and, perhaps nicest of all, the fact that the on-off 'button' is seamlessly built into the front fascia of the device. The designers have also bothered to build-in a nicer-than-expected screen on the front of the meter which displays results and a small animated prompt during BG tests which means that it is perfectly possible to carry out a test whether the meter is connected to your iPhone or not (handy if, for example your phone ran out of charge when you were out for the day). First impressions? Even before I'd got a strip out of the pot - this is going to be amazing. By my reckoning it's about 55mm by 24mm (including the dock connector). Everything about this meter is smaller. The strips are smaller, the pot they come in is smaller. The supplied finger pricker (more about that later) is small too. The supplied black zip-up case is perhaps 50%-60% the size of a standard Roche Accu-Chek one and maybe 70% the size of the case for the Contour-Link meter that works with 'Artoo' my pump. If you took the strips, fingerpricker and iBGStar loose in a coat pocket they would take up very little room. The iBGStar aligns well with the width of my iPhone4 and is just slightly narrower than my 1st Gen iPod Touch. Of course you don't keep it connected to your mobile device the whole time, and with another nice touch they provide a small cap to cover the dock connector which doubles as a little clip to secure the meter and stop it getting lost in the bottom of a pocket or bag if you take it 'loose'. The advantage of this tininess, of course, is that it makes it much less hassle to take your meter with you. And you don't have to worry about all the careful logging etc when you are on the run, unless you want to. The iBGStar can be used perfectly well on its own and will remember and allow you to refer back through several readings on the device itself (it stores 300). When you have a bit more time you can sync with your iPhone and add any insulin doses/carbs/notes to keep your records up to date. If you were having a period of lazy no-logging the 'unplugged' iBGStar helpfully displays an average figure when first turned on allowing you to keep a general eye on things. To get the most of the meter though, you'd want to download and use the iBGStar App. Downloadable free of charge from the App store, compatible with iPhone, iPod Touch and iPad. Requires iOS3 or later. I haven't tested any iCloud-based shenanigans for people with multiple devices, so I cannot confirm or deny whether the iBGStar App would allow you to use several devices concurrently. Having taken a while to find a logging app that suited me I was a little worried that the iBGStar app might be a bit clunky, but was pleasantly surprised. Data entry is slick and easy and individual records consist of tabbed 'cards' which can be flicked through on the home screen. Easy enough to add and edit things like insulin dose and carbs eaten, while a series of 'notes' can be added from a prepopulated menu of food/exercise/dose/meds/general. There are some pretty sensible entries already there 'ate fatty food', 'light exercise' and so on, but you can edit and amend any of the pre-defined choices to make the app work for you. You can also add any extra ones that you might find helpful. There are some other sweet personalisation touches too. For example you can choose the 'background theme' to the home screen from six choices (cityscape, beach, forest...) and as you flick through the result cards watch the sun rise, set and the stars come out depending on the time that the BG reading was taken. I liked the zoomable 'scatter graph' in the data analysis section too, which colour-codes readings above and below the target range you specify. You can also view averages, numbers of tests and even Standard Deviation (how raggedly spread out or tightly packed your results are) over 7, 14, 30, 90 days or a custom range. Critically it is also very easy to email-out the results data, including all notes, carbs and doses for printing and waving in front of your Doctor or DSN. The only tiny quibbles I had with the app were that it did not allow fully pump-friendly dose recording (Artoo does meal doses to two decimal places, the iBGStar App only allows one) and the 'logbook' view is a bit limited showing BG results only - with the 'expanded view' being particularly useless and simply showing the same BG data a bit more spaced out rather than revealing data for doses, carbs etc. The supplied finger pricker is er... a bit flimsy. It's servicable enough and at least has a variable depth setting, but lacks the smooth solid action of my Accu-Chek MultiClix and has a slightly worrying, plasticky, 'cracker novelty' feel to it. It stayed in the box. The sample size is a modest 0.5 microlitres, strips don't need coding and results take around 6 seconds. One slightly surprising irritation was that the strips felt like they were the 'wrong way round' in the pot. Unlike any other meter I've had the 'sample' end of the strips for the iBGStar are not the end that you grab hold of, so each time you get a strip out you need to turn it around before pushing it into the meter. The strips themselves are also a fairly uniform black so it's not always immediately obvious which end is which. There is a tiny notch in the 'meter' end, but in low light and for overnight tests this was a full 'lights-on' meter. I also found it slightly tricky to apply the sample in that the finger-to-strip alignment seemed to need to be a bit more precise, and the strips themselves a little less 'slurpy' than other meters I've used. If you use the meter plugged into your iPhone and with the iBGStar app running you get a little swooshy animation on the phone screen after the 'apply sample' prompts. I preferred to use the meter separately and then plug it in to sync data and log meal and/or other details. The iBGStar has a rechargeable battery and is supplied with a mains charger or can be charged via computer USB port. I have a fairly intensive testing schedule but a full charge still lasted my me a good two or three weeks. Helpfully the iBGStar begins to show remaining charge as a percentage once you have dipped below 50%. So far, so good. If I were finishing the review here it would be a straight 4.5 stars. Unfortunately though I have a nagging worry. Quite by chance, when I was asked to review the iBGStar I had recently switched from an Accu-Chek Expert to a ContourLink (the latter sends results to Artoo via bluetooth). When I switched between those two meters, out of interest I did a couple of tests between the two. Now I had three meters on the go, and strips for all of them, so I did a few random tests across them all. Now at this point I must absolutely stress that these tests are in no way 'properly' scientific. The sample size is one - me. I do not have access to any lab results for any of the blood samples so I can never know which of the meters, if any, was ever giving a truly accurate result. All meters are permitted to have a 20% variation from a lab result (there's a whole blog post right there) so any result could be a bit high on one, a bit low on another. All I can say is that I got a larger-than-average drop of blood, stuck a strip into all three meters, tested and compared the results. To begin with it was all hunky-dory. But then I noticed a test where the iBGStar read quite a bit higher than the Contour. A few more tests followed and by and large the Contour and Expert were closer together, the iBGStar almost always higher. And the higher the level, the more extreme the variation. As a pattern I actually liked that predictability. I know people who find their correction doses less and less effective as their BG rises. A meter that reads a little higher at higher levels could be ideal - set the correction factor appropriately and you would automatically get a more effective correction when you needed it. Sadly though I soon found the results that broke the pattern. Results with larger differences at lower levels, and results will almost no difference at higher levels. I mentioned this in my 'feedback' to the agency who had sent me the iBGStar and had fantastic customer service experience from Sanofi Aventis who sent me a new meter along with some control solution and asked for the old one back so that they could have a look at it. I've not heard whether they found anything, but the results with the new meter (which passed the control solution test) are very similar to the first. In general terms the iBGStar read the highest averaging 8.9mmol/L (160mg/dl) and the Contour the lowest averaging 7.7mmol/L (139). The Expert averaged 8.0mmol/L (144). There were no readings that showed that much variation between the Contour and Expert. None. The single worst difference was 10.5mmol/L (189) on the Contour vs 15.8mmol/L (284) on the iBGStar - a difference of 5.3mmol/L (95), that's more than 50% of the reading - the Expert read 11.2 (202). Again I must stress that these are just my own not-very-scientific results. I have no idea which results, if any, were the 'real' ones, but the variation in the iBGStar and the lack of variation between Contour and Expert cast a shadow of doubt over the iBGStar for me. It may just be something to do with my blood chemistry and the iBGStar's strips - I have no idea. I may be the only person in the UK who would find this variation. I really like this meter. It's small, nicely designed. The app is great, very easy to use and ticks almost all the boxes for me. I successfully used it on its own for a week and a half, even after I had noticed its tendency to read a little high. I simply reduced my 'usual' correction factor to take into account the possibility that the meter might think I'm higher than others I have used before. At the end of the day BG meters for use at home are only ever going to give you a general guide as to your levels. If you read the small print in the handbooks they never pretend to do anything else. Back in the real world though, I do need my meter to perform as consistently as possible. If it's going to have a quirk, that's fine - but it has to be a reliable quirk. My life 'playing at being a pancreas' is full of enough variables without adding another into the mix. I'm sure the iBGStar will work well for many people - unfortunately I'm not one of them. UPDATE: Sanofi checked the first meter and gave this response.